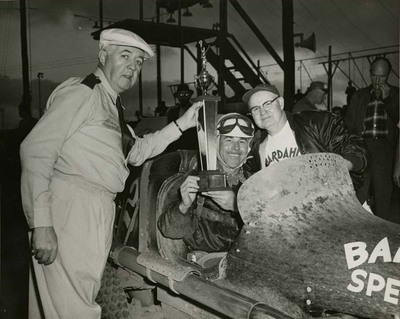 Hector V. Honoré, Jr., was a sprint car driver, mechanic, and owner with the Midwest Dirt Track Racing Association and the International Motor Contest Association from 1935-1967. Pana, Illinois, resident Honoré first drove his own cars however he reached his greatest success as an owner/mechanic with other drivers behind the wheel including Pete Folse, Sr. and Bill Puterbaugh. 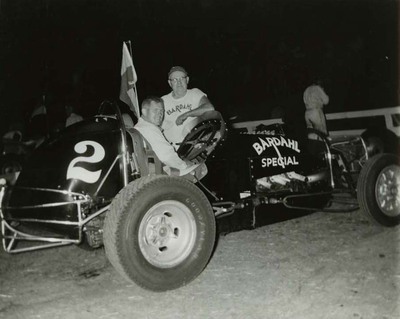 Honoré's car, "Black Deuce," has the largest number of wins in sprint car history. 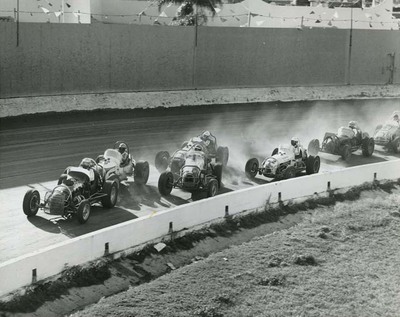 Photographs in this collection include images of Honoré with race car drivers Bill Puterbaugh and Pete Folse, Sr. in "Black Deuce" as well as racing photos.